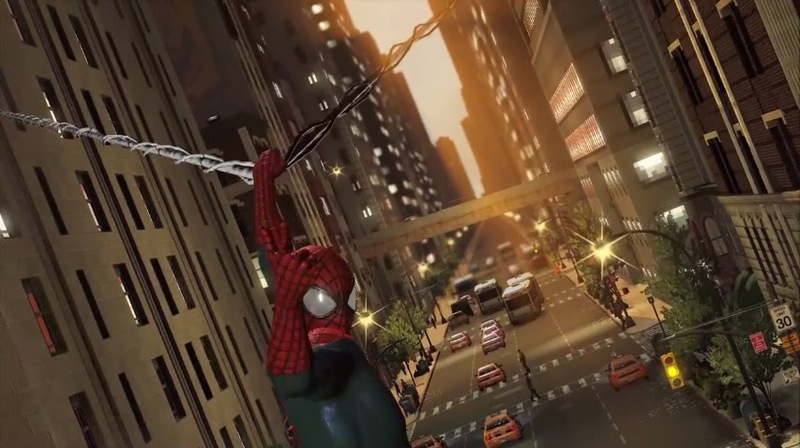 Activision recently revealed their first trailer for upcoming game, The Amazing Spider-Man 2 which is set to be released on on the PlayStation 4, Xbox One, Xbox 360, PlayStation 3, Nintendo Wii U, Nintendo 3DS and Windows PC! The in-game footage gives centre stage to the story with a revealing look into the world of this super hero sequel, as well as an ominous introduction to one of its central characters: Kraven the Hunter (aka Sergei Kravinoff). Marvel’s infamous Russian strongman – equal parts charismatic and dangerous – will play a critical role throughout the game’s narrative, challenging Spider-Man’s code of justice as he traverses the criminal underworld. It also highlights the man beneath the mask, Peter Parker who will play an important part of his own in the journey to come.